The weather is changing and spring is here. Now is the time to start thinking of that garden you want to put in or adding to an existing one. We are currently taking orders for our annual plant sale. 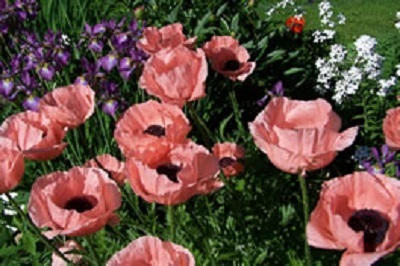 Indulge your love of plants by choosing from several varieties of organic, field-grown perennials, including many plants native to Maine or New England. Prices match or beat those you’d find in nurseries, but a portion of every sale goes to support PICA’s work. The deadline for ordering plants is May 14. Plants will be available for pickup May 23 and 24. If you are interested in ordering, call (207-947-4203) or and email to elleng@pica.ws for a listing. You can also check out the listing on our website at www.pica.ws. We are trying to grow the plant sale by finding new sellers: individuals willing to share listings with friends, neighbors, acquaintances and collect their order forms, and then (only if convenient) provide a drop off place for people to pick up their plants. The plants are all organic, field-grown, and super hardy from Rebel Hill Farm run by Pete and Julie Beckford. These plants practically sell themselves, but still seem to need a little human help. So, if you are interested in selling plants call 947-4203 or email elleng@pica.ws or contact Francine by phone at 945-0020 and email at fraw@gwi.net.